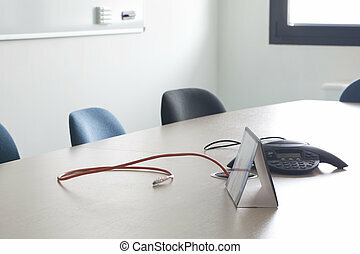 Power meeting. 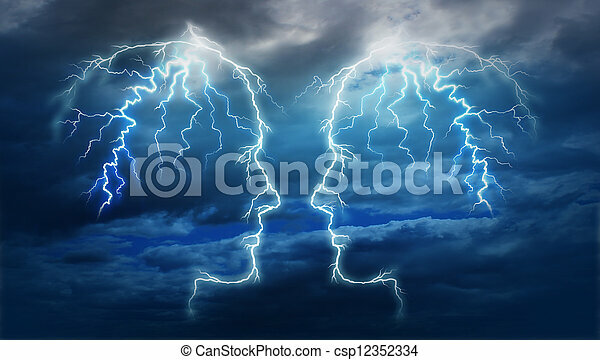 Power meeting and team ideas as a group of two electric lightning bolt strikes in the shape of a human head illuminated on a storm cloud night sky as an intelligent partnership. 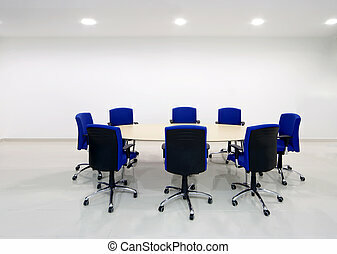 Power meeting and team ideas as a group of two electric lightning bolt strikes in the shape of a human head illuminated on a storm cloud night sky as an intelligent partnership. 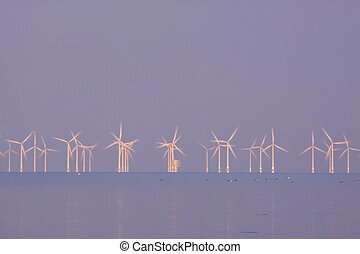 A seabased windpower station meets another stong and clean power, the sun ! 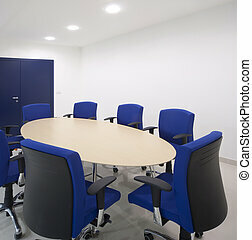 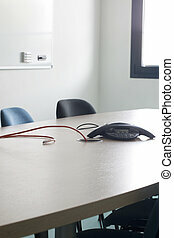 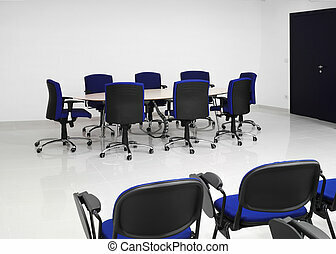 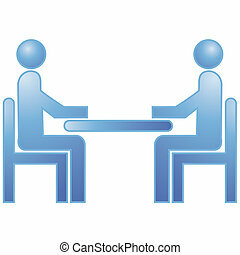 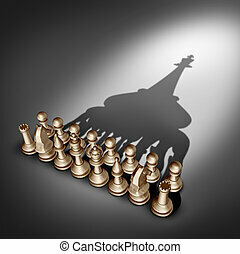 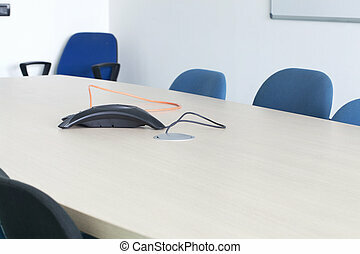 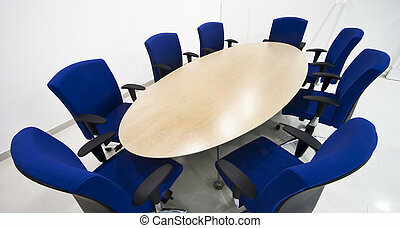 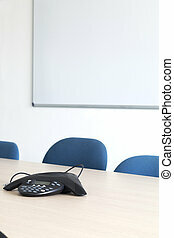 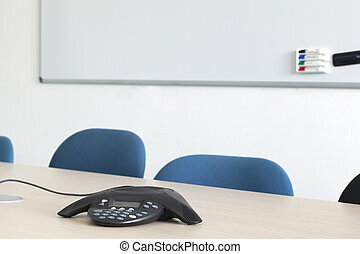 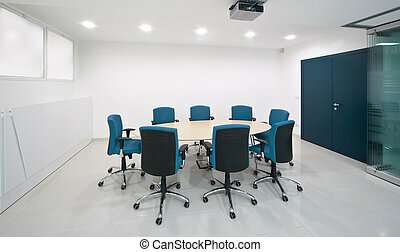 Teamwork Power Successful business Meeting Workplace Concept. 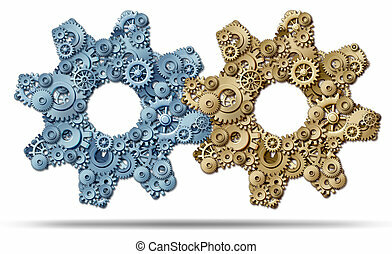 Power Partnership and joining business forces together to form a strong merged unity of success represented by a group of gears and cogs in the shape of a large machine part on a white background. 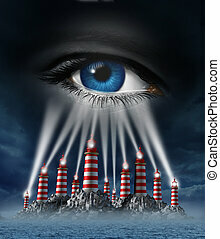 Group power with different ideas coming together for a common vision and team strategy for a creative unified business plan as light house towers beaming connected focus into a human eye on a storm sky. 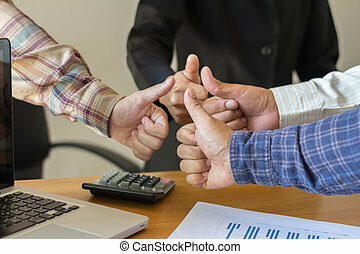 Business meeting concept as a top level agreement metaphor with two arrow shaped roads on bridges coming together in a global partnership and to create a new financial trade path to success between two leaders. 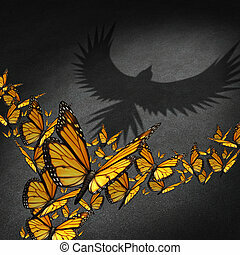 Power of teamwork business concept as a group of monarch butterflies getting together to cast a shadow of a strong eagle as a metaphor for partnership communication success through network connections cooperation. 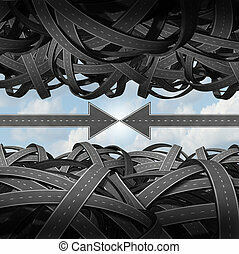 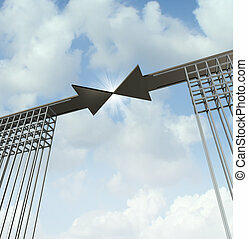 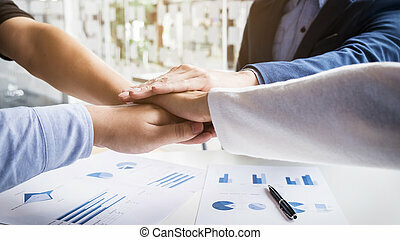 Meeting through confusion using communication business teamwork concept as a group of tangled roads with two arrow streets joining together creating a bridge of agreement despite the chaos and direction crisis as a partnership metaphor for overcoming challenges. 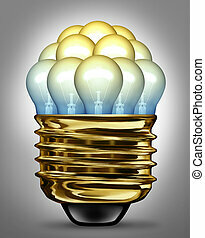 Ideas organization group and creativity partnership concept with glowing light bulbs organized in a united team as a symbol of the power of working together for innovation success. 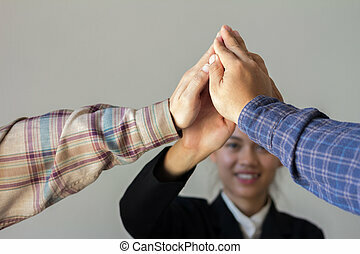 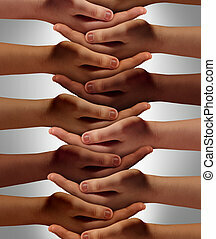 Support network concept and people power from a multicultural society working together with respect to help one another achieve community success as a group of connected hands holding each other. 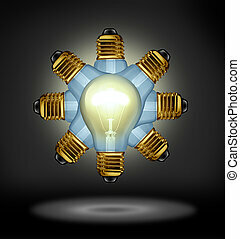 Group Ideas and creativity partnership concept with glowing light bulbs organized in a radial pattern as a symbol of the power of working together for innovation success on a black background. 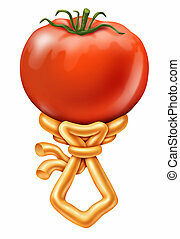 Business lunch with a tomato and spaghetti pasta shaped as a suit tie as a meal time etiquette in a power lunch concept for the food and drink industry isolated on a white background. 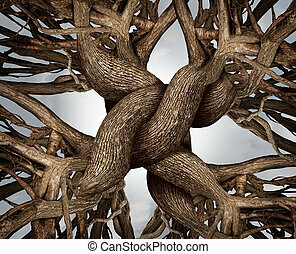 Unity symbol as an eternal knot of trust made from the roots and trunks of growing trees as a community or business friendship concept for the power of teamwork and solidarity working together for solid success and growth. 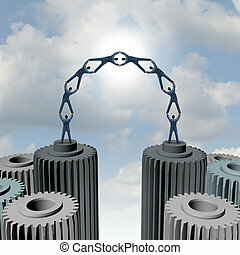 Leadership group bridge as a business building a network with a team of businessmen standing on gear and cog wheel icons working together in a strong support partnership bridging the gap to connect for success. 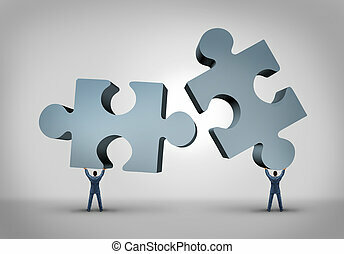 Teamwork and leadership business concept with two giant three dimensional puzzle pieces coming together from a partnership agreement between two powerful leaders who are building a successful company. 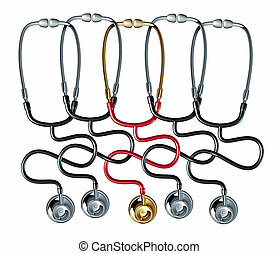 Medical community with a group of three dimensional stethoscope chain linked together as a health care symbol of an organized partnership of doctors workig together sharing hospital patient records and new scientific research. 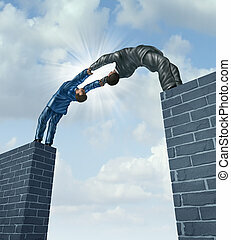 Building a bridge with a business team of two businessmen working together in a strong support partnership bridging the gap to connect in a successful solution to financial challenges.